Video Compilation: Nuclear Fear, Nuclear Power, and the way to save our planet, save our climate, and save our environment. In an earlier blogpost on Climate Change, I compiled a list of videos to support the position that Climate Change is already irreversible. The solution for clean energy is already with us. But we have been manipulated to believe that it is dangerous and worse than the problem. This first video is about how the fear of Nuclear power was created. It is intriguing. SINGAPORE — Inspired by last year’s shock victory of the Pakatan Harapan alliance in the Malaysian General Election (GE), hopes were briefly raised among the opposition circles on this side of the Causeway that several parties could band together, led by former presidential candidate Tan Cheng Bock. It was touted as a possible game-changer given the fragmented opposition landscape dotted by fewer than a handful of established parties and several fringe ones that have struggled to make any impact at recent polls. Eight months on, however, the proposed coalition of seven opposition parties appears dead in the water, with several party leaders fast losing hope and turning to plan Bs. SINGAPORE — After two years spent studying the threat of fake news, the Republic is taking things a step further with the introduction of sweeping new laws that will, among other things, give Government ministers broad powers to quickly stop the dissemination of online falsehoods and punish those who create and spread them. SINGAPORE — Negotiations with the integrated resorts to commit about S$9 billion of non-gaming investments took more than two years, but the Singapore Government was able to iron out a deal based on its own terms, Trade and Industry Minister Chan Chun Sing said. Singapore has to be in a position of strength to negotiate, and ensure that the country is “never held ransom” or “overly dependent” on one particular sector, he said at a media briefing on Friday (April 5) to talk about the negotiation process. Forecasts that China will dethrone the United States as the world’s biggest economy neglect the country’s ageing population and its drag on growth, says the author. In 2010, China replaced Japan as the world's second-largest economy. Many economists believe it is just a matter of time before China dethrones the United States as the world’s biggest economy – some have argued that it could happen before 2030. They have cited the history of other Asian economies as evidence to back the claim. 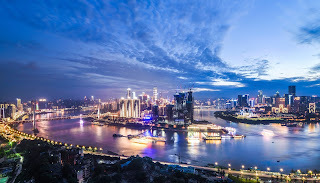 The nominal per capita gross domestic product of China was just a sixth of America’s in 2018 – a level similar to Japan in 1960, Taiwan in 1978 and South Korea in 1986. In the following two decades, the three Asian economies achieved annual growth rates of between 7 per cent and 8 per cent. 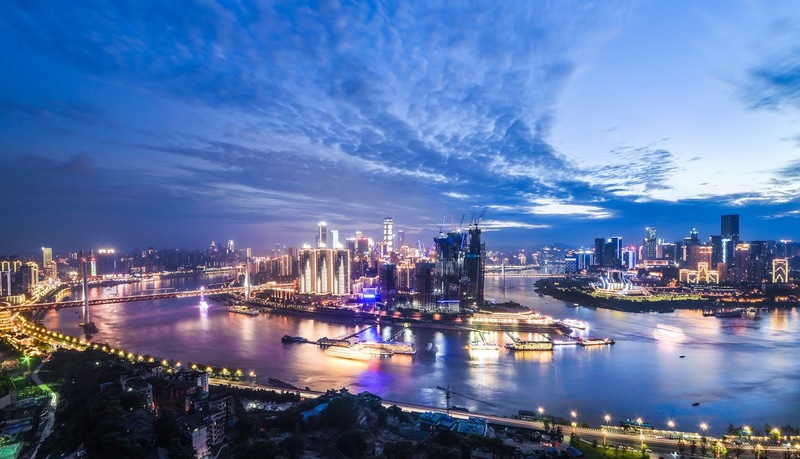 As such, economists including Justin Lin Yifu, the former World Bank chief economist, have argued that China would go through a similar trajectory and the nation would be able to achieve a 6 per cent annual growth rate from now until the 2030s. Tunku Ismail Sultan Ibrahim, in a Facebook post, said neither he, his father Sultan Ibrahim Sultan Iskandar, Johor Chief Minister Osman Sapian nor the state government was aware of the project. KUALA LUMPUR — Johor’s crown prince has launched an attack on Putrajaya, denying Malaysian Prime Minister Mahathir Mohamad’s claim that a new shipping hub project at the Johor Baru port is public knowledge. “Whoever says Johor is aware is lying. Anything within three nautical miles of the shores of the state — in particular, land and water matters — is the sole prerogative of the state. It may seem to you that everyday, there is news or updates or a new breathlessly reported fact about Climate Change and what you can do to stop or even reverse Climate Change. David Wallace-Wells, author of "The Uninhabitable Earth" was interviewed and asked if he intended his book to spur people to action, to slow, stop or even reverse climate change. The Ghim Moh Market and Food Centre. On March 27, Singapore submitted a nomination for Singapore hawker culture to be inscribed on the Unesco Representative List of the Intangible Cultural Heritage of Humanity, a year after after Prime Minister Lee Hsien Loong announced the move. On March 27, Singapore submitted a nomination for Singapore hawker culture to be inscribed on the Unesco Representative List of the Intangible Cultural Heritage of Humanity, a year after after Prime Minister Lee Hsien Loong announced the move. In the lead up to the submission of the nomination, the official government website on hawker culture in Singapore described that street hawking in Singapore can be traced back to the mid-1800s when street hawkers sold a variety of food along the streets of Singapore. The narrative leaps forward to the time period 1968 to 1986 when the Singapore government resettled street hawkers into hawker centres and markets. HONG KONG — Vaccination rates for measles have dipped across South-east Asia, falling below the 95 per cent mark which experts say is needed to fully protect a community from the infectious disease. At the same time, cases of measles have spiked in Indonesia, Malaysia and the Philippines in recent years — part of a worldwide 50 per cent increase seen last year, according to the World Health Organisation (WHO). Having the option of retiring in your 30s or 40s sounds really attractive for many people. “Fire”, short for “financial independence, retire early” is a growing movement that started in the United States. Its followers tend to be millennials who choose that goal in a bid to free themselves from what they see as a prolonged and unsustainable work life that takes its toll on them. It’s not easy, though, so it may not be as enticing as it seems. In a paper published on Thursday (Mar 21) in the journal Science, the researchers raise the prospect of “adversarial attacks” — manipulations that can change the behavior of A.I. systems using tiny pieces of digital data. NEW YORK — Last year, the Food and Drug Administration approved a device that can capture an image of your retina and automatically detect signs of diabetic blindness. This new breed of artificial intelligence (A.I.) technology is rapidly spreading across the medical field, as scientists develop systems that can identify signs of illness and disease in a wide variety of images, from X-rays of the lungs to C.A.T. scans of the brain. These systems promise to help doctors evaluate patients more efficiently, and less expensively, than in the past. In the flat where I stayed in Cape Town last month, the bathtub felt like a relic of a lost civilisation. It may never be used again. Beside it was a shower containing an egg timer. The two-minute wash has been standard here since the recent three-year drought. In the city’s public bathrooms, a dribble comes out of the tap. Posters everywhere warn against wasting water. This is what adapting to climate change looks like. Last year, Cape Town nearly became the first big city on earth to run dry. Daily water rations dropped to 50 litres per person per day, with the spectre of 25 litres if supplies ran out on “Day Zero”. The drought broke just in time, but the city’s planners now expect permanent water scarcity. Rationing, which initially felt like wartime austerity, has become normal. SINGAPORE — A group of academics has called for a debt-relief programme to be made available to the less well-off here, after a comprehensive study showed that debt takes a huge toll on their ability to make good decisions. Participants of a first-of-its-kind study by the Social Service Research Centre (SSR) at the National University of Singapore (NUS) viewed each debt as a separate “mental account”, according to the study released on Tuesday (March 26). Being in the red in many debt accounts was “psychologically painful”, said the study’s authors, who are researchers from the NUS and the Singapore University of Social Sciences (SUSS). Thinking about their debts also increased their anxiety and worsened cognitive performance. “This psychological impact may prevent the poor from making the right decisions to get out of poverty, further contributing to the poverty trap,” said the study. Its findings were published in the Proceedings of the National Academy of Sciences of the United States of America scientific journal. SINGAPORE — The Securities Investors Association Singapore (SIAS) has written an open letter to national water agency PUB about its move to take over Hyflux’s Tuaspringdesalination plant — if Tuaspring cannot fix its defaults by April 5 — after the firm’s investors raised “serious concerns”. In its letter on Monday addressed to PUB chief executive officer Ng Joo Hee, SIAS president David Gerald said Hyflux’s retail investors were caught in a predicament, as the company possibly faces liquidation. The SIAS is Singapore’s retail investor watchdog. What makes a country a home? Is it emotional ties or purely economic self-interest? SINGAPORE'S economic development has never relied on its being a nation. First a colonial port where immigrant merchants and labour served the needs of the British empire, after independence in 1965 its economic policy still located the city-state within the regional trade and global production networks of foreign corporations. Unlike Asia's other export-oriented 'developmental states' - Japan, South Korea and Taiwan - Singapore did not actively nurture or encourage a local capitalist class. Foreign and state enterprises were favoured, so 'national champion' outfits such as Toyota, Samsung and Acer never developed. Instead, Singapore has always been a 'global city' - a place where parts and people are imported to produce goods and services that are exported to foreign consumers. BRUSSELS — Home sharing initiatives that link cash-strapped young people with elderly home owners are becoming popular with governments around the world as they seek to tackle the twin crises of homelessness and loneliness, experts said on March 21. NEW YORK — My column last April “Pros and Cons of Statin Therapy” has elicited nearly 700 online comments, many of them from people who accused me of selling out to Big Pharma. Yes, statins are blockbuster drugs with sales in the billions, but some people question if they’re safe and effective. In this column, I will try yet again to explain my understanding of statins and help others deal sensibly with these potentially lifesaving drugs. As I mentioned in last year’s column, I had taken a monthslong hiatus after more than a decade on a statin to see if it would relieve my periodic back pain. It did not. What it did do was allow my cholesterol level to soar back to a total of 248 milligrams per decilitre of blood and an LDL (the heart-damaging lipid) level of 171, 70-plus milligrams higher than it should be. Americans are pessimistic about what life will be like in 2050. Here’s what they fear most. On a long-haul flight, Can You Ever Forgive Me? becomes the first film I have ever watched twice in immediate succession. Released last month in Britain, it recounts the (true) story of Lee Israel, a once-admired, now-marginal writer who resorts to literary forgery to make the rent on her fetid New York hovel. Her one friend is himself a washout who, as per the English tradition, passes off his insolvency as bohemia. Lee pleads with her agent to answer her calls and, in the rawest scene, confesses her crime with a wistful pang for the success it brought her. There are serviceable jokes (including the profane farewell between the two friends) but the film is ultimately about failure: social, financial, romantic, professional. “Look, I spent my whole life putting cement as smoothly as possible on tiles and then lining them up straight on a wall. Or plastering the wall as smoothly as possible. Right? No different from icing a cake," said the author's friend. SINGAPORE — Air pollution, stalled rail projects and constant antagonism by Malaysian Prime Minister Mahathir Mohamad are just some of the issues Singaporeans must continue to bear with because of the instability of Pakatan Harapan, said retired Singapore diplomat Bilahari Kausikan. In a Facebook post on Friday (March 8), Mr Kausikan shared a TODAY report stating that the Rapid Transit System (RTS) rail system connecting Singapore with Johor would be delayed as Putrajaya had failed to meet project deadlines. “This is just another example of the consequences of a fundamentally incoherent and thus ineffective, government across the causeway,” he wrote in a caption accompanying the report. SINGAPORE — While he is often jokingly referred to as the God of Fortune, Finance Minister Heng Swee Keat said on Friday (March 8) that the “hongbao” (red packets, or goodies) dished out in the Budget have to be squeezed from the Government’s coffers. Features of Budget 2019 include the S$1.1 billion Bicentennial Bonusand the S$6.1 billion set aside for the Merdeka Generation Package. The recently concluded Semenyih by-election won by the Barisan Nasional (BN) is indeed a game changer for Malaysian politics. The by-election is a confirmation that many Malay voters have abandoned ruling coalition Pakatan Harapan (PH), a trend that was discerned in the previous Cameron Highlands elections. The key difference between Cameron Highlands and Semenyih is the demography of the Malay voters. Prior to the election, many political pundits predicted that PH will retain Semenyih due to the high percentage of Malays from middle and upper-middle class background, a traditional vote bank for PH. However, the results indicated otherwise, though it is perhaps premature to suggest that the by-election is a referendum for the PH government. HONG KONG — Flying into Singapore’s Changi Airport, visitors often remark on the hundreds of vessels, from supertankers to freighters, anchored along the coastline. Why are there so many? What are they doing there? A decade ago, the global recession created a maritime car park of apparent ghost ships in the Singapore Strait — vessels sat idle in the world’s busiest shipping lane as companies were going bust or did not have enough business to justify their use. Now there’s a similar stockpiling of ships in the strait, but it’s more like a traffic jam. A growing global population that is getting materially richer means a burgeoning demand for goods. Reuters file photo - A map illustrating China's "One Belt, One Road" megaproject at the Asian Financial Forum in Hong Kong. BEIJING — China has sought to defend its ailing “Belt and Road Initiative” (BRI) from mounting international criticism ahead of an important summit in April to fine-tune the multibillion-dollar infrastructure investment programme. Explainer: What does a giant dislodged iceberg mean for us in Singapore? SINGAPORE — An iceberg roughly two-and-a-half times the size of Singapore could break away from a western Antarctic ice shelf in weeks, said the United States’ National Aeronautics and Space Administration (NASA) last month. It is the result of a rift, known as a Halloween crack, intersecting with another fissure which was stable for the past 35 years but which recently started accelerating northwards. The two rifts are set to meet in a few weeks, experts estimate, which will lead to the iceberg calving, or being dislodged. There is “no one reason” that can explain the calving at Antarctica’s Brunt Ice Shelf, said Professor Benjamin Horton of Nanyang Technological University’s Asian School of the Environment. Ice is melting everywhere, although the western Antarctic is the most sensitive and the fastest melting region, he said. ‘NIRC’ – it’s a uniquely Singaporean economic abbreviation that stands for net investment returns contribution. It’s a mouthful, but in the coming weeks the term is likely to be on the lips of many of the Lion City’s lawmakers as they debate the national budget Finance Minister Heng Swee Keat will unveil on Monday. The NIRC is the amount of Singapore government revenue that comes from interest earned on its outsize reserves. The city state has elaborate rules on how much a sitting government can rely on past reserves. Among them are requirements that the administration is not mired in net debt, and that only up to 50 per cent of long-term expected returns can be used each year. The NIRC is computed based on long-term expected returns from net assets invested by three entities as well as investment income. It’s already cheaper to build a new solar or wind farm than a coal plant. But when the sun isn’t shining and the wind isn’t blowing, renewable electricity can still be fairly expensive to store–even though the cost of batteries is dropping. If the world shifted to 100% renewable electricity right now, we might pay more on electric bills. 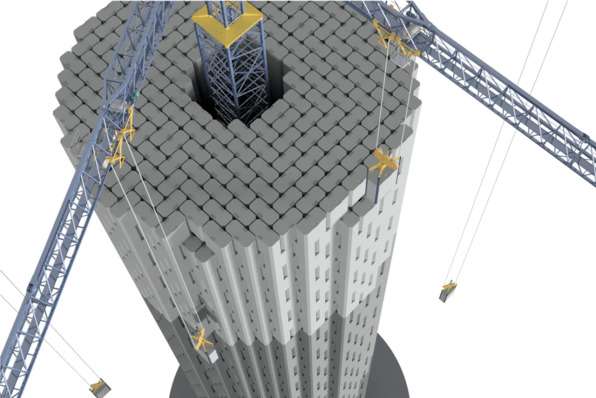 A new solution that uses basic physics could cut the cost of storage in half, or by as much as 80% over the total life of the system. It makes it possible for renewable power to be cheaper than fossil fuels all day, every day of the year, everywhere. “Our solution, for the first time, will enable the world to achieve this,” says Robert Piconi, CEO and cofounder of Energy Vault, the startup that developed the new system. Tata Power, the giant Indian electric utility, will be the first customer. BEIJING — The Chinese economy last year grew at its slowest rate since 1990, adding to the urgency for President Xi Jinping to reach a trade deal with the United States. Growth in the world’s second largest economy decelerated from 6.8 percent in 2017 to 6.6 percent last year, according to the National Bureau of Statistics. The slowdown is the result of cooling demand both at home and abroad. SINGAPORE: In the last three years, about 65 per cent of applications to withdraw money from the Central Provident Fund (CPF) earlier due to medical reasons have been successful said Manpower Minister Josephine Teo in Parliament on Tuesday (Jan 15). Under the Medical Grounds Scheme, CPF members can withdraw or start their payouts before the stipulated payout age of 65. Eligibility criteria they have to meet under the scheme include being permanently incapacitated, terminally ill, or having a severely impaired life expectancy due to illness. Such applications have to be accompanied by the relevant doctors’ certification, the minister said. Mrs Teo was responding to Member of Parliament for Nee Soon GRC Lee Bee Wah on the percentage of successful appeals for an earlier withdrawal of CPF payouts. The remaining 35 per cent were not successful because applicants did not meet the eligibility conditions and were referred to help avenues for help, such as Workforce Singapore and the Social Services Office, Mrs Teo said. [So a Humanities Lecturer at Hwa Ching Institution became known as the "Meth Teacher". I don't blame him. He's 65. Still working as a lecturer. Teaching "humanities". To Hwa Chong students. In Singapore. And he's British! It's enough to drive one to drugs. At 65, you would think he should be retired. LONDON — From floods to extreme heat, 10 of the worst climate-linked disasters in 2018 caused at least US$84.8 billion (S$117 billion) worth of damage, said a study released by the charity Christian Aid on Thursday (Dec 27). Extreme weather driven by climate change hit every populated continent this year, the British relief organisation said, warning urgent action was needed to combat global warming. "This report shows that for many people, climate change is having devastating impacts on their lives and livelihoods right now," said Dr Kat Kramer, who heads Christian Aid's work on climate issues, in a statement.